/Seasonal Hair Loss: Reality or Myth? Every year, many people begin to feel significant?hair loss?in autumn, particularly in September, October and November, leading many to believe that hair loss could be seasonal. Around this time of year many people become aware of more hair being lost during washing or brushing than normal. After careful analysis Simone Trichology researchers have confirmed that some hair loss is indeed seasonal. In humans is normal loosing between 50 and 100 hairs every day, a direct result of the?hair growth phases. A normal strand of hair has a life cycle of between 2 and 6 years during which time it will grow normally around 1 and 1,5 centimeters per month. However around 10 per cent of a person?s hair may be in a ?resting? or ?involution? phase (known as telogen), at which point the hair can fall out. Research suggests that people experience slightly higher rates of telogen during the month of July, which sees the affected hairs falling out around 100 days later, in mid October or November. Exactly why this happens is unclear, but some suggest that stress brought on by summer heat may provide some explanation. Scientists around the world have examining this phenomenon suggest that people grow more hair during summer months to protect their scalps from hot sun and ultraviolet radiation. Come the autumn this additional growth is no longer required and is therefore shed. How to know if hair loss is seasonal? 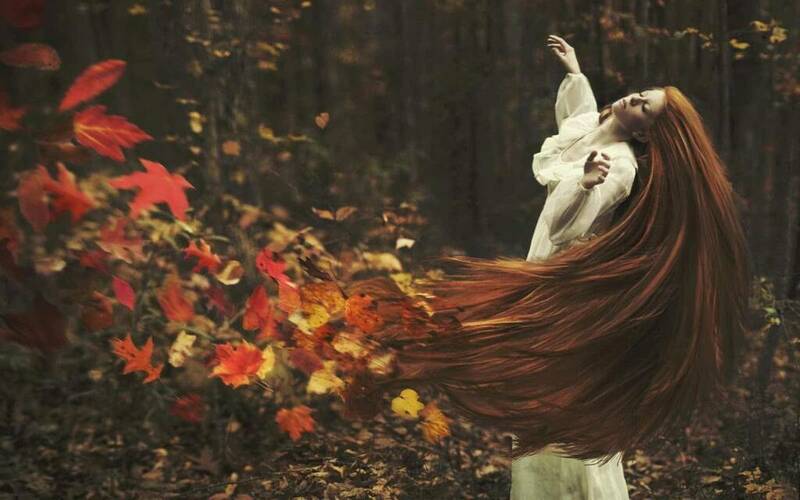 Hair loss in Autumn may have been a purely seasonal phenomenon for many people, the results of which are barely visible. However, some people may have found themselves losing much more every day than the 50 to 100 one would generally expect. It is only through close observation that you can know for sure. A good indication of whether you are experiencing excessive hair loss is to look at your parting – often, thinning hair will cause the parting to look wider. Although some hair loss is perfectly normal, so too is regrowth. Occasionally people may lose significant amounts of hair on a daily basis, but speedy regrowth means that the loss is not noticeable. If you detect slow regrowth, or hair falling out in a specific pattern, such as at the temples or the crown, this could be an indicator of a more permanent underlying hair loss condition like Male Androgenic Alopecia (MAGA) in men. Typically, consistent shedding in specific areas around the top of the scalp is known in women as female pattern hair loss, or FAGA (Female Androgenic Alopecia) to give it it’s scientific name. Hair Loss not only in Autumn? Although seasonal shedding may be noticeable to you, the entire process is perfectly normal and no cause for concern. Seasonal hair loss is common amongst all mammals, including humans, although it is not restricted to Autumn. People may also experience slightly higher levels of hair loss during the Spring, although the autumnal loss will be more noticeable. For people affected by thinning hair all year round or in defined patches, it can be beneficial to take professional advice from a hair loss specialist. They will not only assess what is causing the shedding but will also discuss the range of treatments available to stabilise this hair loss and encourage regrowth. 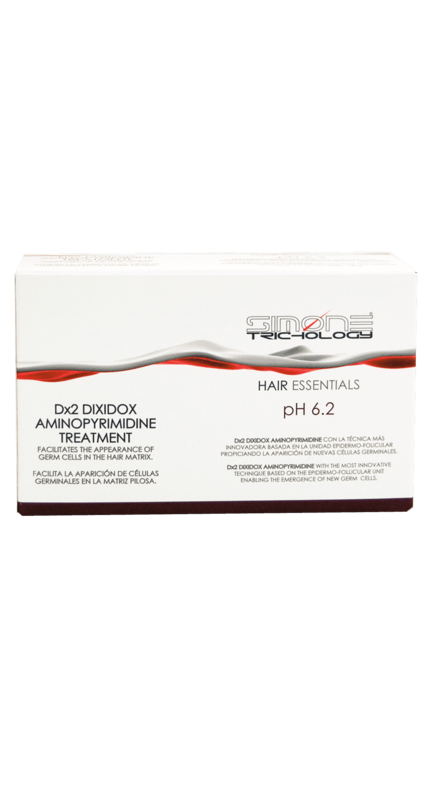 Among the many hair loss treatments available to SIMONE TRICHOLOGY clients is the DX2 Dixidox+Aminopirymidone Treatment. DX2 Dixidox helps increase blood flow to the scalp and hair follicles, ensuring delivery of essential nutrients to the hair in order to promote regrowth in “resting” hair follicles.